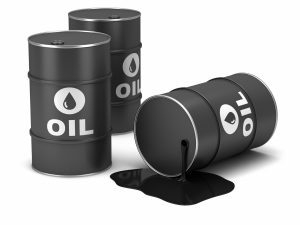 Oil futures were steady on Monday following comments from the Saudi energy minister that the market was heading towards balance, although signs of slowing demand in Asia weighed. Brent crude futures LCOc1 were trading at $50.31 per barrel at 0441 GMT, almost unchanged from their last settlement. U.S. crude CLc1 were down 5 cents at $48.94. There will be no West Texas Intermediate crude settlement on Monday as U.S. financial and commodity markets are closed for the U.S. Independence Day holiday. “Fundamentals offer limited scope for further price gains and we expect Brent to trade broadly sideways over the coming months,” said analysts at BMI Research. The energy minister of Saudi Arabia, the world’s top crude exporter, and the secretary general of producer club OPEC agreed that global oil markets were heading towards balance, and that prices reflect this. Crude futures are drawing some support from concerns over output in Nigeria, where a militant group has been carrying out attacks on oil facilities over the past months. Attacks in the Niger Delta have pushed Nigerian crude production to 30-year lows, although the Nigerian National Petroleum Corporation said last week that output was rising following repairs. However, oil demand and, as a result, prices could come under pressure as weak margins prompt run cuts at a time when refineries in top consuming region Asia are already gearing up to enter their maintenance season. “After another counterseasonal summer build, gasoline cracks now trade below diesel, which should force refiners to act … The end result is likely to be run cuts, with some signs already emerging for 3Q,” Morgan Stanley said on Monday. “Asia refiners have already started to pull back … and there are reports of cargoes struggling to sell,” it added. Higher oil output is another factor that could cap prices. In the United States, drillers last week added oil rigs for a fourth week in five, in the best month of producers returning to the well pad since August 2016. Also, Russian oil output stood at 10.84 million barrels per day (bpd) in June, up from 10.83 bpd in May. In Norway, oil workers signed a deal on Saturday, avoiding a strike that would have cut output from western Europe’s top oil producer by about 6 percent. Money managers cut their net long U.S. crude futures and options positions in the week to June 28, the U.S. Commodity Futures Trading Commission said on Friday.